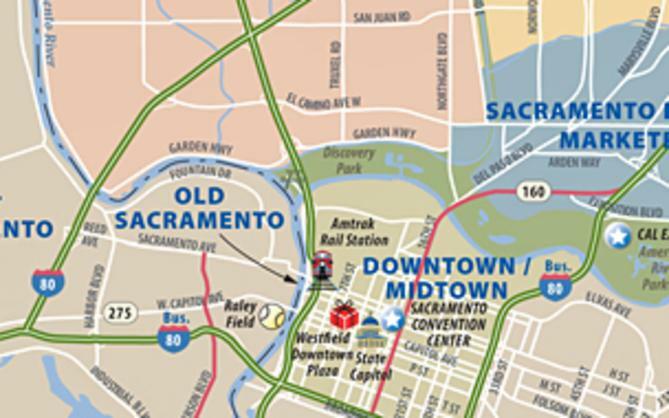 Midtown Sacramento, a 2-square-mile district east of downtown, is the cultural hub of the city, home to a diverse array of businesses that share real estate with an eclectic mix of housing. Its shady streets encompass proud Victorians dating to the 1800s, postwar apartment buildings with mid-century modern flair, and stylish bungalows and apartment blocks built to spec for today’s market. 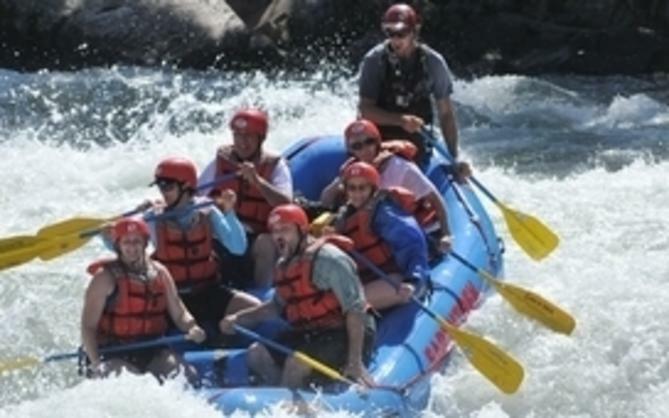 To see the original, head to Sutter’s Fort (27th and K streets), where Swiss immigrant John Sutter established his outpost in the 1830s and jump-started the Sacramento you see today. Midtown has forged its unique identity over the past few decades, gaining recognition as its own entity rather than as an appendage of downtown. Today, it’s one of the most desirable places in the city to live, work and play, especially for millennials. Midtown restaurants draw rave reviews in national publications, sidewalk tables and bicycles are everywhere, stylish boutiques cater to the fashion-forward, galleries showcase the best in regional art, and nightclubs throb into the wee hours. Midtown is the part of the city that never sleeps, the place where everyone wants to be. It’s also a neighborhood of sub-neighborhoods. Lavender Heights, for example, is the name given to an area around 20th and K streets where many LGBT-owned businesses are located. The Sutter district is named for its proximity to historic Sutter’s Fort and the massive Sutter Health complex, while the Handle, centered around a busy block bounded by Capitol Avenue, 18th, 19th and L streets, was so named because of the way it appears on a map in relationship to Capitol Park (think handle on a pan). Compact and walkable, this vibrant neighborhood within a neighborhood is a great place to start your explorations of Midtown. 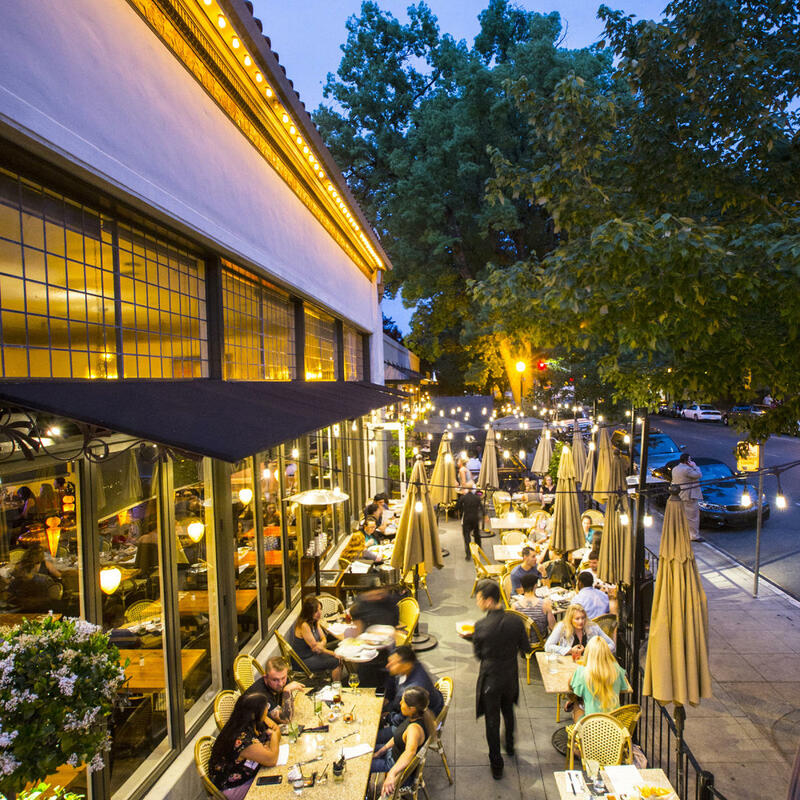 The Handle District, like much of Sacramento, has a focus on food and drink. High-end restaurants such as Mulvaney’s B&L, Aioli Bodega Española and The Press Bistro cater to a well-heeled crowd of business folks, young professionals and foodies looking for seasonal fare taken to a new level. Take a stroll to discover other faves like Zocalo (stylish Mexican), Paesanos (casual Italian), Broderick Roadhouse (over-the-top comfort food), Buckhorn Grill (barbecue), Pushkin’s Restaurant (gluten-free, dairy-free and vegan), and Make Fish, your to-go place for poke, a raw fish salad popularized in Hawaii. 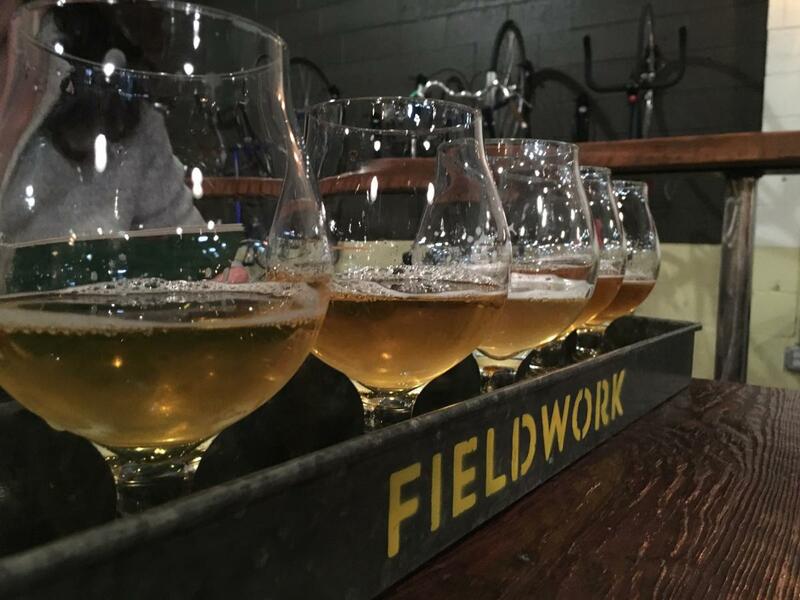 To wash it down, quaff a craft brew at Fieldwork Brewing Co. (kid- and dog-friendly) or Big Stump Brewing. 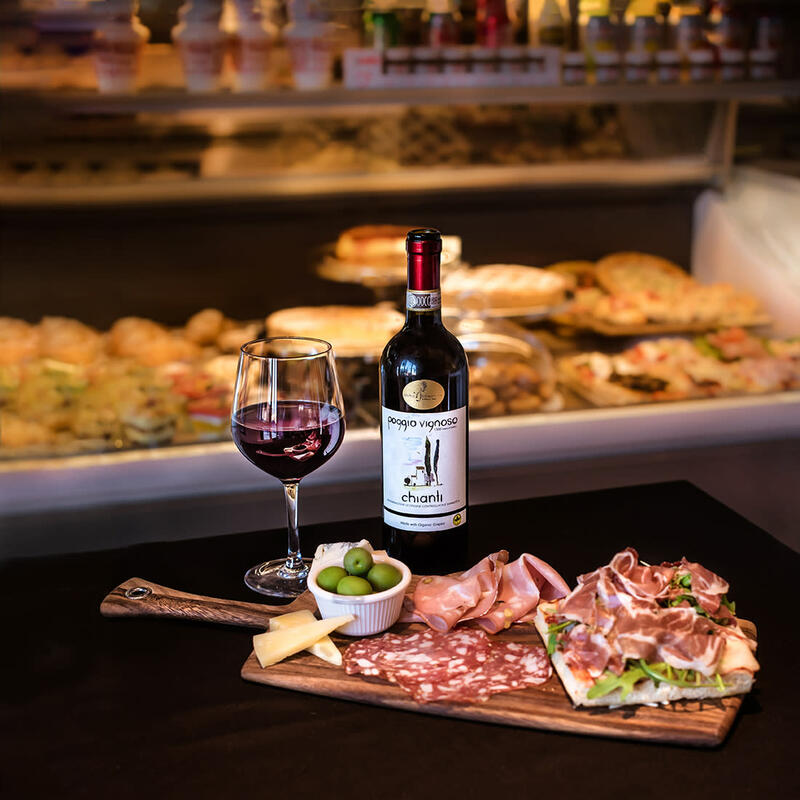 Nearby 58 Degrees & Holding Co. has an impressive menu with wine and beer selections to match. For a morning coffee or afternoon caffeine jolt, Old Soul Co. is the place to go. Totally out of the fray is BenBen’s Hidden Tea Room, a Zen-style nook tucked away in a live-work space where you can wind down after a spring-loaded day. And let’s not forget dessert: Devine Gelateria and EaTuscany Caffé vie for the title of the best gelato in Sacramento. For something softer, Yogurtagogo dishes up multiple flavors of froyo and a wide array of toppings so you can customize your own. Ginger Elizabeth Chocolates makes chocolate bars, chocolate truffles and Mexican hot chocolate and also crafts French macarons to eat solo or in ice-cream sandwiches. Of course, you have to make time to shop, and the Handle doesn’t disappoint. Pop into Zanzibar Trading Company for imports and handicrafts, Heart Clothing Boutique for great style in a small space, Scout Living for vintage and one-of-a-kind furnishings, and Art of Toys for rare, vintage and collectible playthings. And don’t miss the Midtown Farmers Market, held Saturday mornings at 20th and L streets and featuring more than 50 vendors. 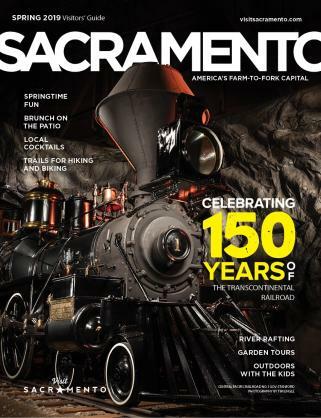 For more insights into Sacramento, view our Visitors&apos; Guide. All photos courtesy Seann Rooney, The Handle District.